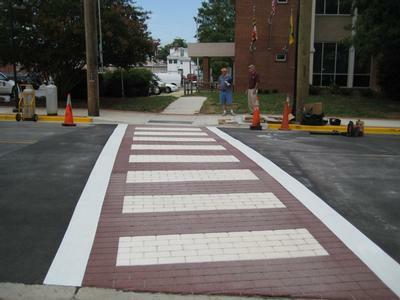 High-Preformance Crosswalks – StreetPrintXD | My Asphalt Dr.
StreetPrintXD is a functional, durable, and practical solution for high-performance crosswalks. Perfect for high traffic conditions and engineered to stand up to extreme use and weather conditions. StreetprintXD provides the decorative look of brick, but with added advantages that far surpasses other decorative solutions. StreetPrintXD is applied to existing pavement and does not disrupt the asphalt surface. 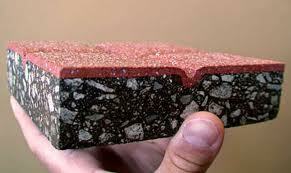 This eliminates the risk of heaving and settlement, and ensures a smooth, pedestrian-friendly surface. In addition, unlike regular thermoplastics, which are typically 90 mils thick with glass beads; StreetPrintXD is 180 mils thick and aggregate reinforced. This results to superior durability and a non-skid surface. This is quality assured and involves cost-efficient installation. 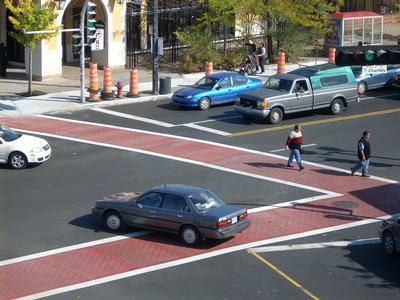 Crosswalks take hours, not days, to install, minimizing traffic disruptions. StreetPrintXD can also be installed at night. Unlike conventional thermoplastic road markings StreetPrintXD incorporates a unique aggregate-reinforced formula with unprecedented wear resistance. 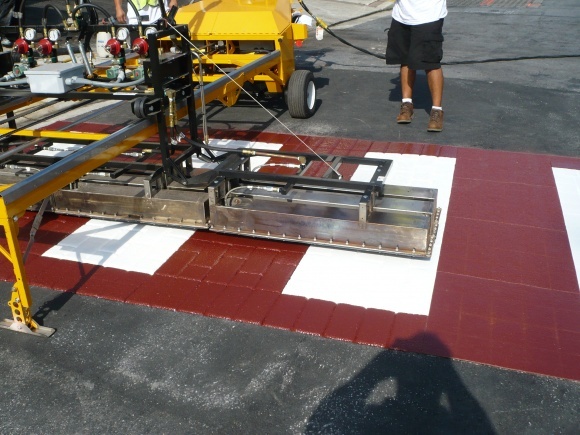 When installed using the patented StreetHeat asphalt reheating technology StreetPrintXD permanently bonds to the asphalt. Practical. StreetPrintXD makes economic sense. -a friendly solution for the physically challenged, StreetPrintXD complies with the Americans with Disabilities Act (ADA). StreetPrintXD is a perfect solution for high traffic conditions; definitely something to look into.